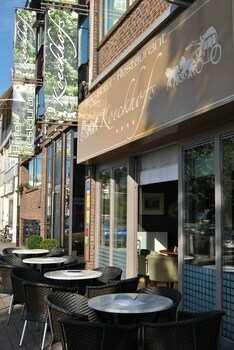 Located in Hamont-Achel, Hotel Restaurant Koeckhofs is within a 15-minute drive of Bemvoortse Mill and City Hall Overpelt. Featured amenities include luggage storage and a safe deposit box at the front desk. With a stay at Ourthe & Somme Les Doyards in Vielsalm, you'll be 10.6 mi (17 km) from Coo Waterfall and 12.9 mi (20.8 km) from The Green House Golf Club. Free self parking is available onsite. Located in Damme, Hotel Welkom is a 2-minute drive from Hoeke Windmill and 7 minutes from Indigo Art Gallery. Free self parking is available onsite.